Home / Body • Cooking with Oils • Health • Health & Fitness • healthy body • Healthy Recipes / Why Use Infused Olive Oil for Cooking? 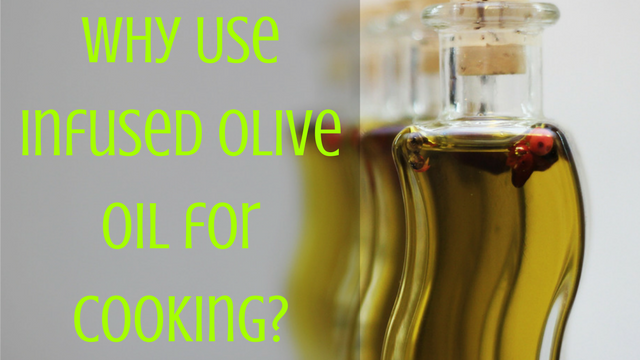 Why Use Infused Olive Oil for Cooking? 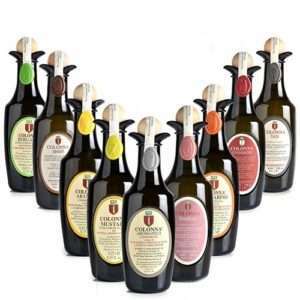 Infused olive oil is produced by cold pressing extra virgin olive oil and infusing it with fresh herbs and vegetables. Infused olive oil enhances the taste of dishes, especially when used in place of spices and herbs. The flavour & intensity of infused olive oil varies depending on the type of herbs used, duration of infusion and method. Infused olive oils make an ideal gift with a personal touch. 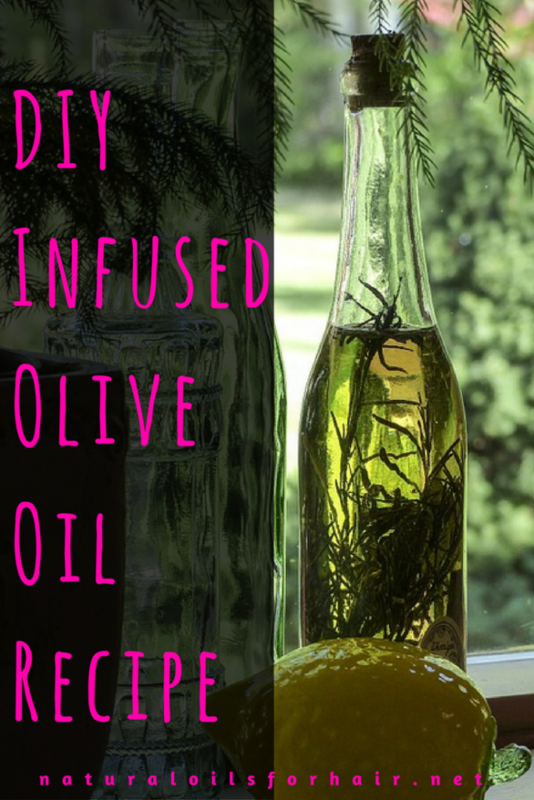 You can use infused olive oil for salad dressings and dipping for bread and vegetable sticks. You can also use it for stir-frying and sautéing, preparing pasta and seafood, pan searing and lots more. What Type of Herbs & Vegetables Can Be Used for Infused Olive Oil? You can also add spices like saffron, cardamom, cloves, cinnamon, star anise, paprika, coriander, cumin, caraway etc. Pour the dried herbs into an appropriate container. 2 tablespoons for every cup of olive oil is ideal. Heat the olive oil to around 180 °F, cool down a bit then pour over the herbs. Close tightly and store in a dry cool place for up to 2 weeks. After 2 weeks, strain and discard the leftover sediments. Pour oil back into the bottle. Refrigerate and use within a month. If it starts smelling funny before the month is up, discard at once. If it doesn’t smell funny after a month, throw it out anyway and make a fresh batch. You can customize the recipe with the herbs and vegetables that you prefer. 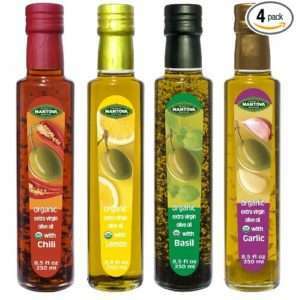 You can also use another type of oil if you like but extra virgin olive oil is the best type of oil. Use very good quality extra virgin olive oil like the ones recommended HERE. Use one herb per bottle. Lightly crush before adding to the mix. This will release even more flavour into the oil. You can mix herbs if you prefer but you might not like the taste. You can also enhance the flavour by toasting the herbs. Make sure the herbs and vegetables are completely dried. If you add anything with moisture to the infusion, it will lead to the growth of botulism bacteria, which can lead to paralysis of muscles if consumed. Read more on the risk of botulism in this article from University of Maine. 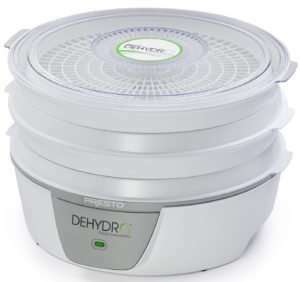 If you have fresh herbs, dry them out in a food dehydrator like this one here or leave them out on a tray for a few days. Use a container with a tight seal like canning jars or a glass bottle with a stopper. Wash and dry thoroughly before you pour in the olive oil and herbs.